Bowl of rice with Scallop　and Salmon (raw fish) on top. 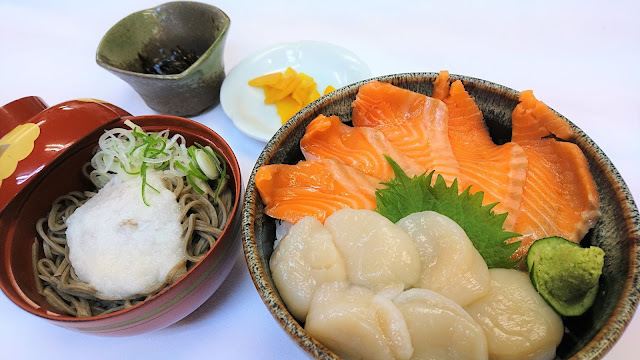 Serve with Tororo soba, Japanese pickles and small appetizer. ※Toror Soba: Soba noodles topped with grated yam.